The FFRK Medals Deal returns with 4 new Medals, along with the 4 Medals that were available in the previous FFRK Medals Deal! Purchase the ongoing Weekly Jewels Extravaganza to unlock the VIP Draw for this Deal to get the new Supernova - FFRK Lightning Medal within 5 VIP Draws! Additionally, your first draw from BOTH the standard and VIP versions of this Deal are FREE! As a bonus, you'll get 10 Limited VIP Coins with each standard AND VIP Draw from this banner! 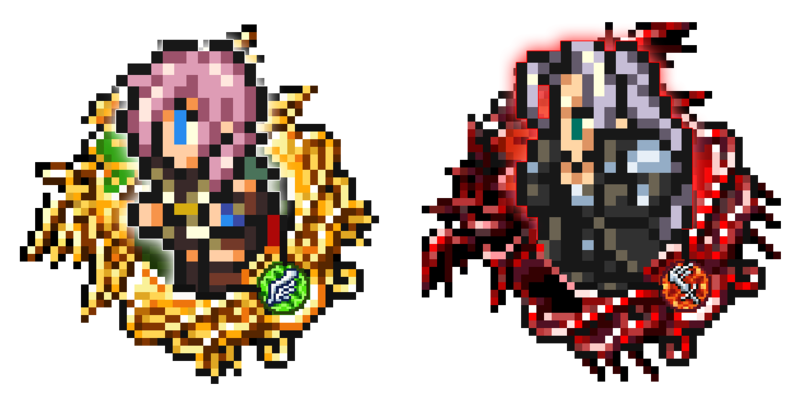 Use them to unlock rewards from the ongoing Limited VIP Board, which currently include the new Supernova - FFRK Sephiroth and Trait Medal #87 (for use with Supernova - FFRK Sephiroth)! See below for standard and VIP Draw details from the FFRK Medals Deal! Other Guaranteed Medals ・Two 7★ FFRK Medals per draw! ・One Trait Medal #86 (for use with Supernova - FFRK Lightning) per draw! ・The remaining 7 Medals will be of 5★ or higher rarity! ・10x Limited VIP Coins ・One 7★ FFRK Medal per draw! Details: First draw is FREE! Supernova - FFRK Lightning compared to Standard! First draw is FREE! NOTE: Standard draws will NOT count towards the number of VIP Draws required until the guaranteed draw. * The standard version of the FFRK Medals Deal does NOT come with a "guaranteed within x draws" aspect. Limited VIP Coins can be used to unlock rewards from the ongoing Limited VIP Board! The rewards from the current board include Supernova - FFRK Sephiroth and Trait Medal #87 (for use with Supernova - FFRK Sephiroth)! * All Limited VIP Coins currently being distributed will expire on Mar. 11, 2019 11:59 p.m. (PT) / Mar. 12, 2019 6:59 (UTC). * Supernova - FFRK Sephiroth is NOT available from the FFRK Medal Deal. * Supernova - FFRK Lightning is NOT available from the Limited VIP Board. 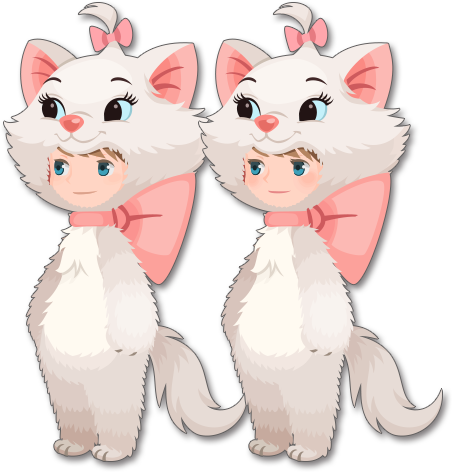 ・The 5 new FFRK Medals can be powered up with Dual Meow Wow Medals! [Target: All] 1 turn: SP ATK B +200% (boosted: +250%). Resets count. [Target: All] 1 turn: SP ATK B +210% (boosted: +260%). ・Supernova - FFRK Lightning and Supernova - FFRK Sephiroth are each worth 180 Spirit Points. ・FFRK Cloud, FFRK Exdeath, and FFRK Gilgamesh are each worth 120 Spirit Points. ・FFRK Terra is worth 80 Spirit Points, and Tyro, Dr. Mog, Elarra are each worth 15 Spirit Points. * FFRK Medals may be available again in a future deal. Battle the Upright & the Reversed! ★ Complete objectives to earn up to 2000 Event Coins and other rewards! This event consists of 3 quests! Complete objectives to earn up to 2000 Event Coins, as well as Magic Broom, Magic Mirror, and Cid Medals! Additionally, Event Coins obtained from this event can be used to unlock rewards from the current Event Boards! ★ The Marie avatar boards have returned! The Marie avatar boards are back for 1500 Jewels apiece! NOTE: If you had previously purchased these returning boards, you will not be able to purchase them again. Use Skip Tickets+ to instantly earn rewards from quests even if you haven't cleared all the objectives! Please note that using a Skip Ticket+ will not actually clear any of your uncompleted objectives. ・Purchases of the Weekly Jewels Extravaganza during the campaign period will receive 50 bonus Jewels (3,050 Jewels total). ・Purchases of the Weekly Jewels Extravaganza do not include Skip Tickets+. ・Please note that while the bonus amount of Jewels will not appear on the purchase confirmation message, the bonus amount will be added to your account upon purchase.